Liquid Gold is a lightweight but powerful moisturizer that fortifies your skin’s moisture barrier to help heal, hydrate, strengthen, and soothe. 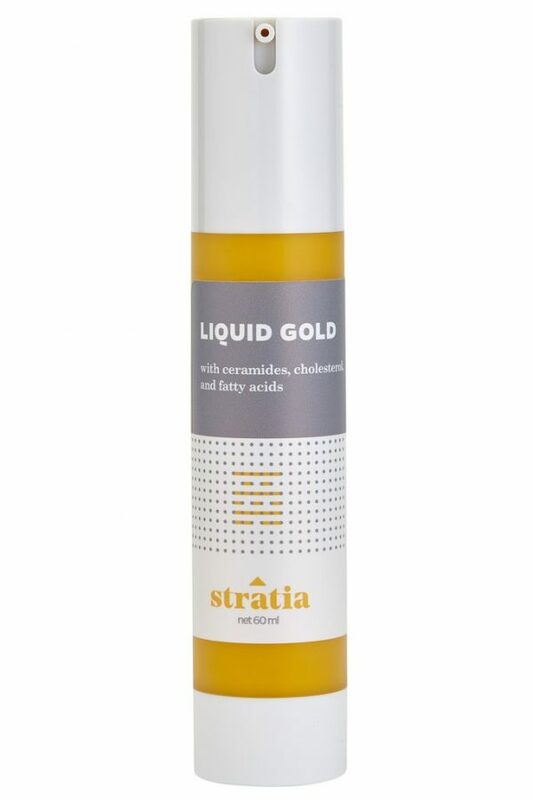 Liquid Gold is formulated with ceramides, cholesterol, and fatty acids to mimic and strengthen your skin’s natural moisture barrier. After using a cleanser, toner & serum, warm a small amount of this cream between the fingers before patting it onto the skin in a circular motion for complete coverage and nourishment.